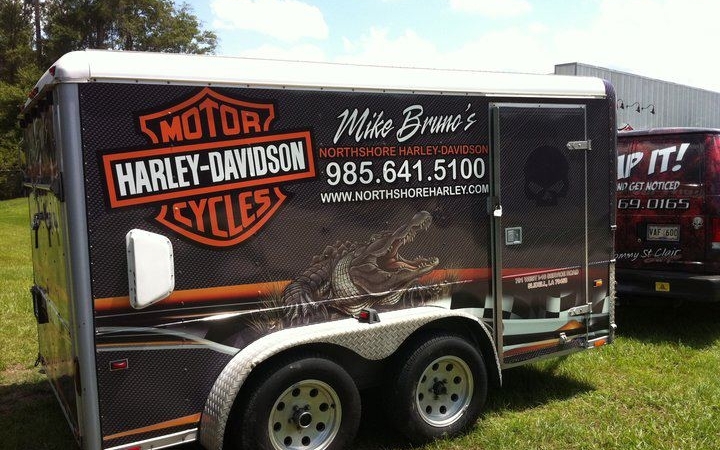 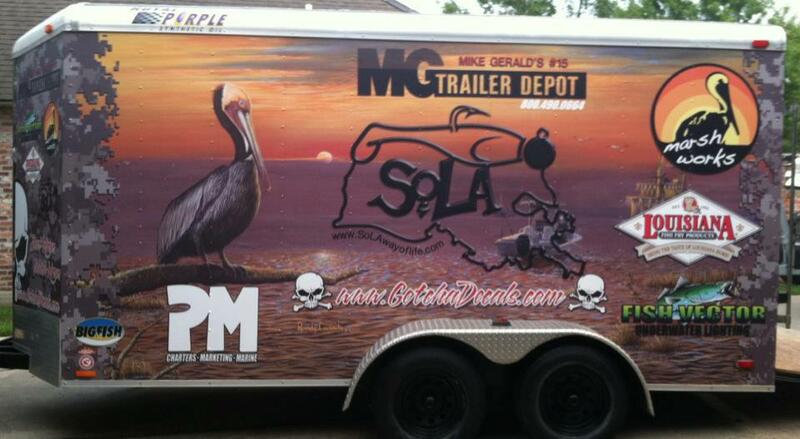 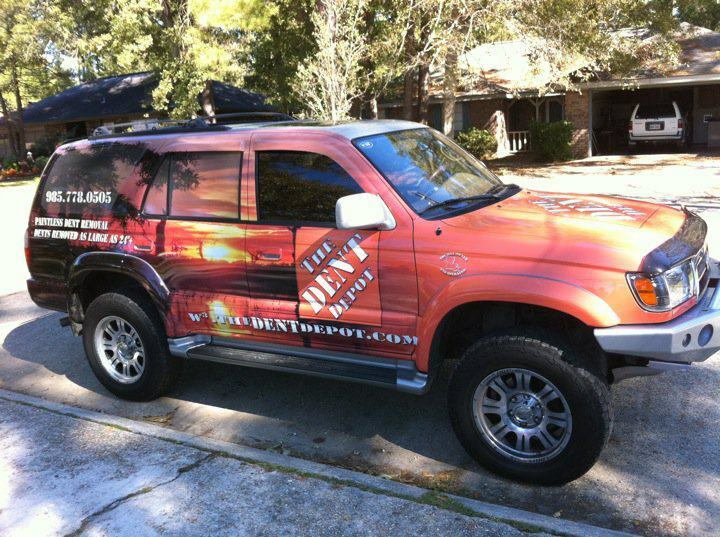 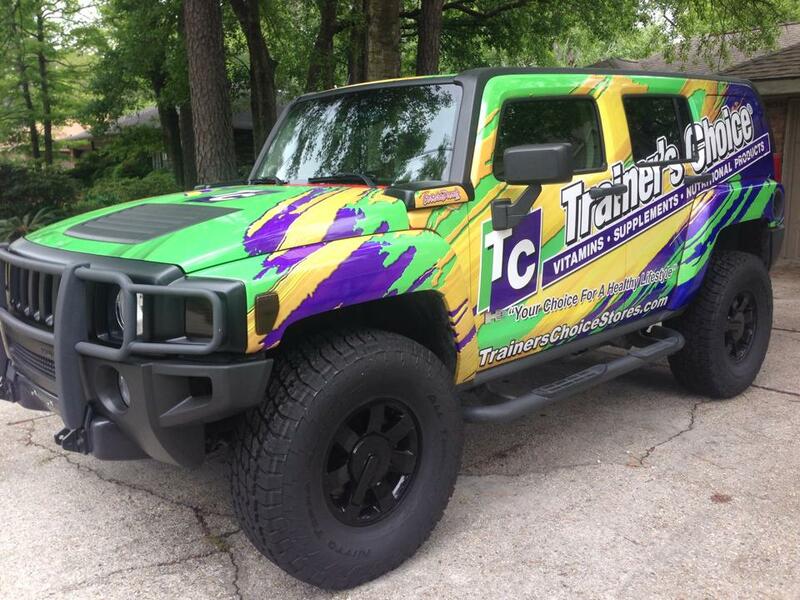 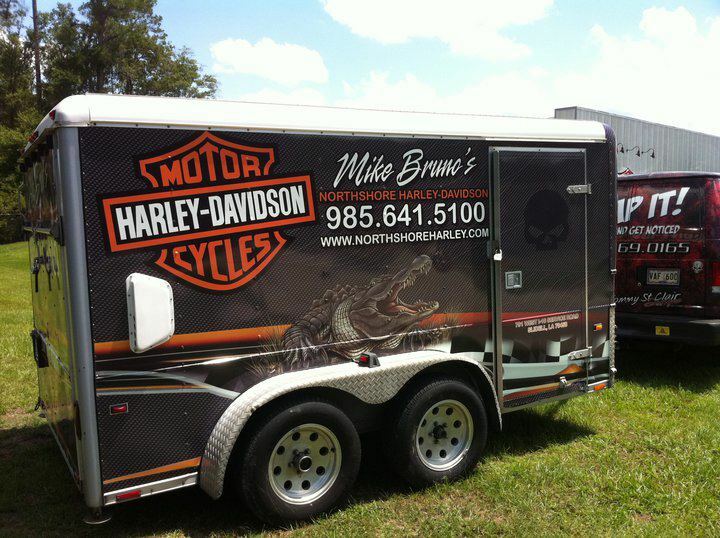 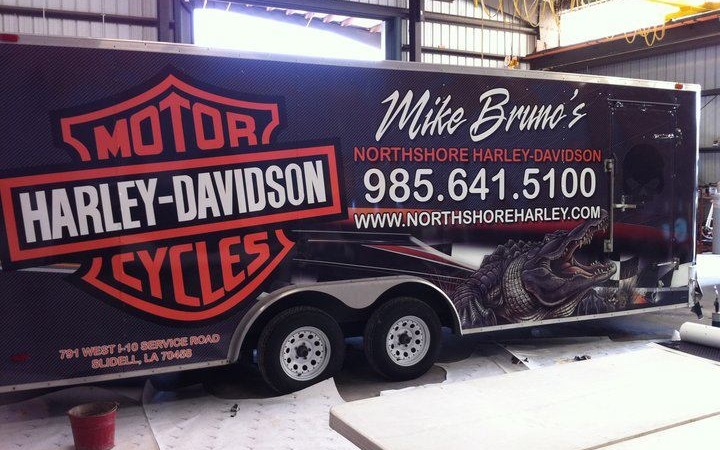 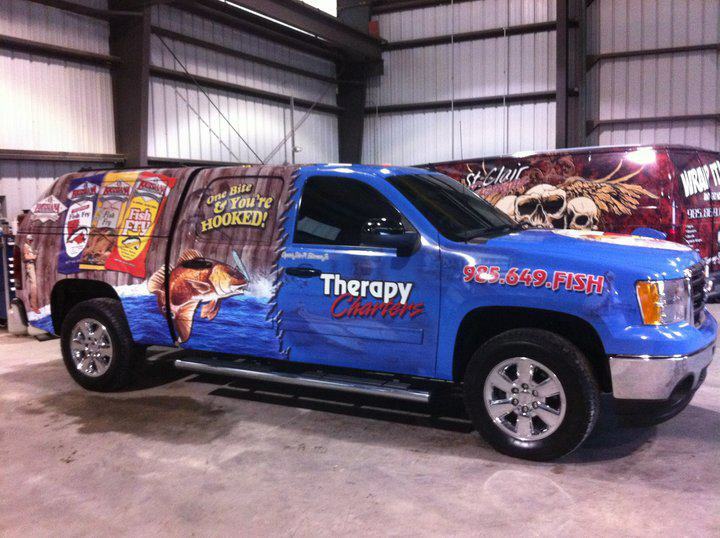 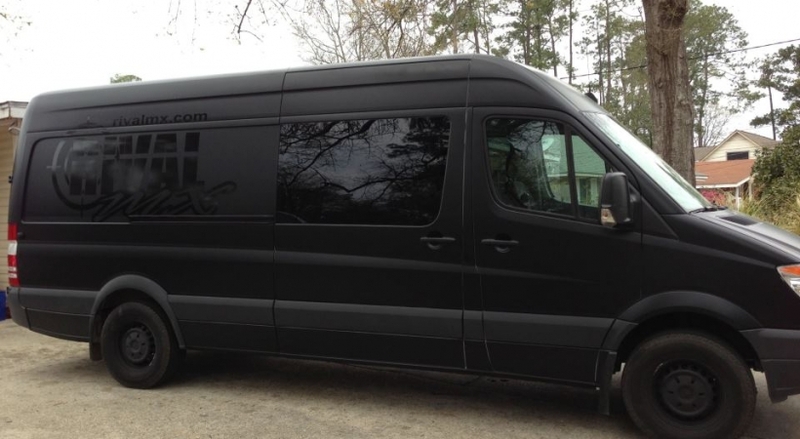 Vehicle wraps can be placed on cars, trucks, buses, trailers, and fleets. 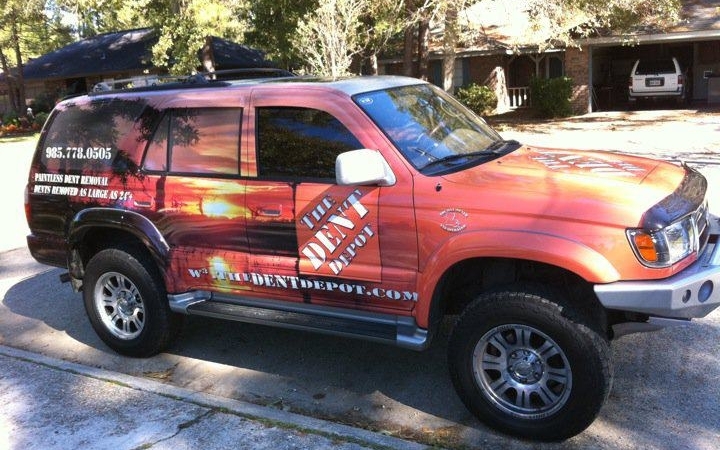 The effectiveness of a car wrap or vehicle wrap is an unparalleled marketing impact. 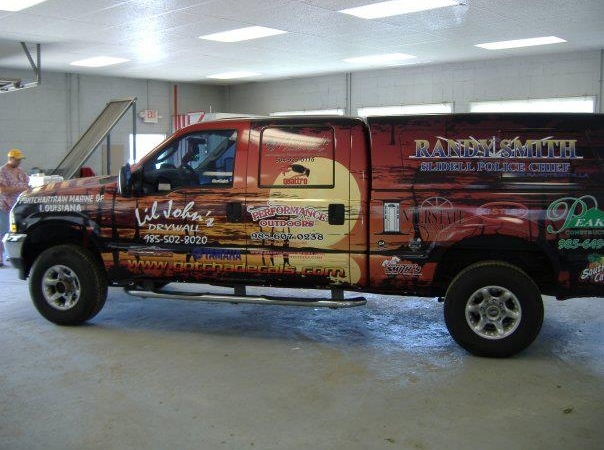 Did you know that 91% of people notice words and pictures when displayed on trucks? 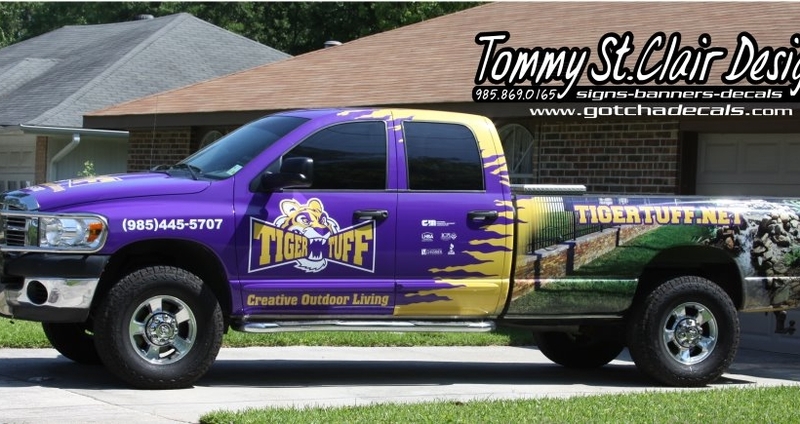 * Your marketing impact is even further magnified with the implementation of a fleet wrap, utilizing all the vehicles in your fleet. 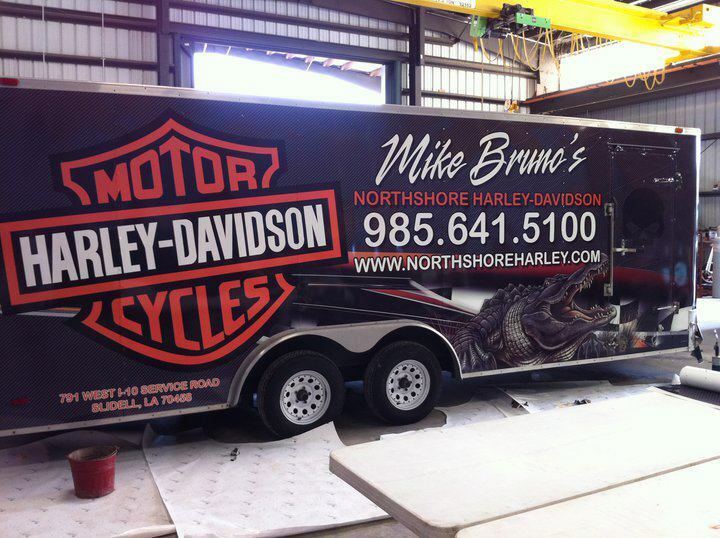 Did you know that metro trucks are seen by 14 million sets of eyes each year! 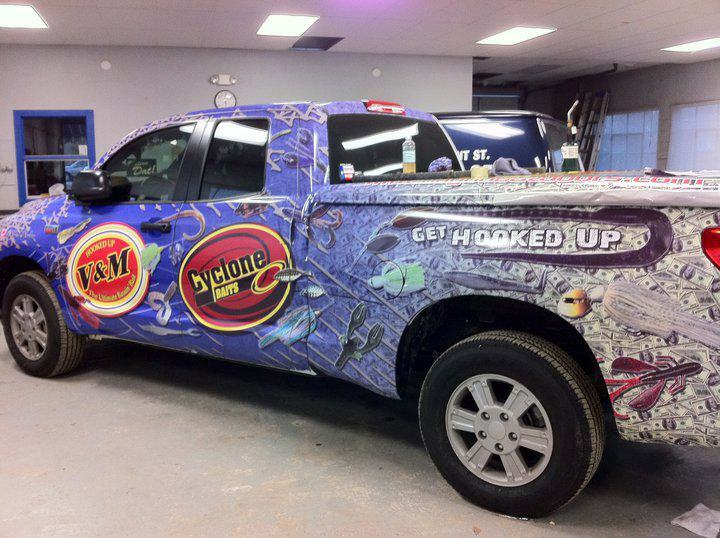 With a fleet wrap, car wrap, or truck wrap, you’ll have more marketing exposure than with one costly billboard. 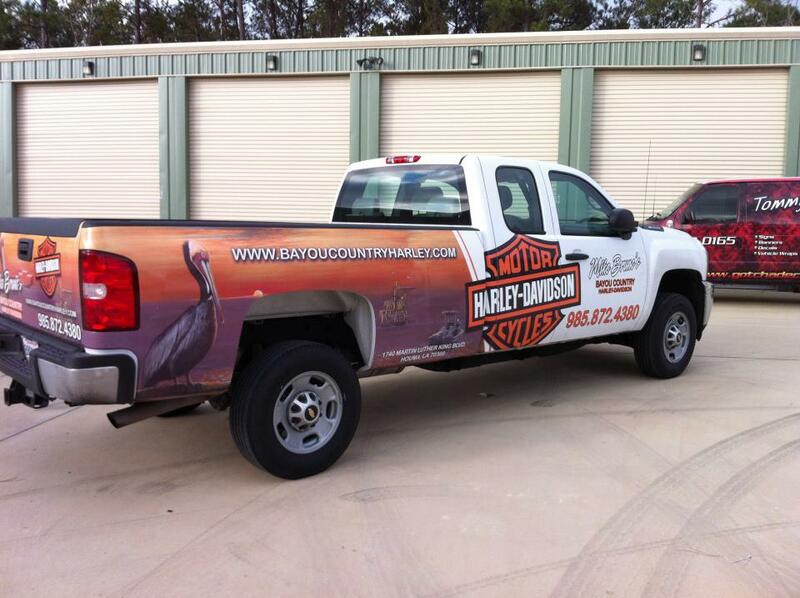 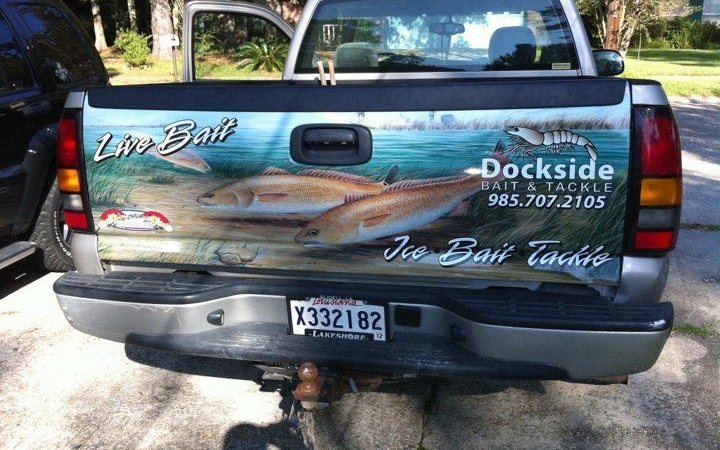 Don’t limit your vehicle advertising to just the name of your company! 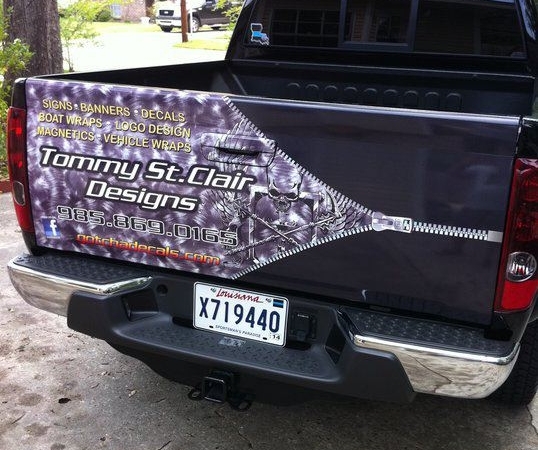 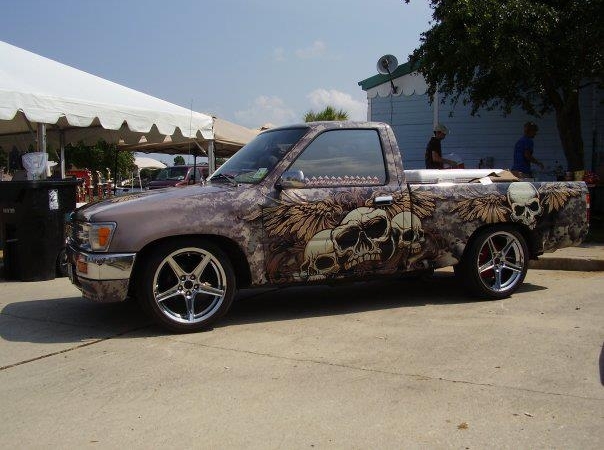 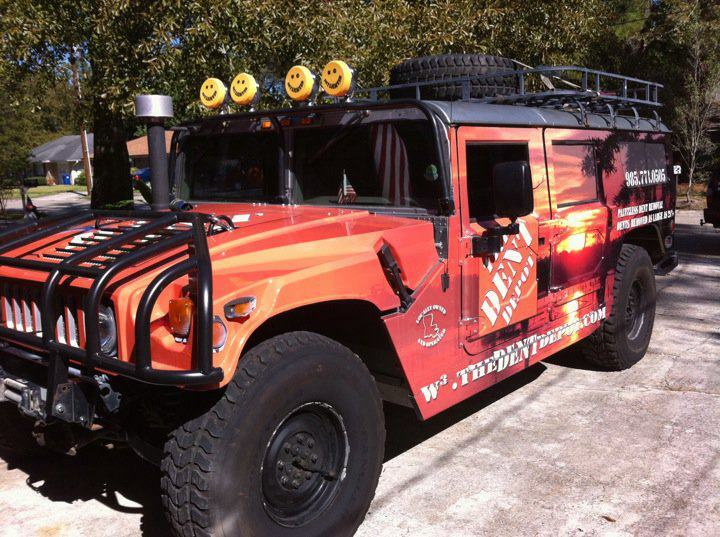 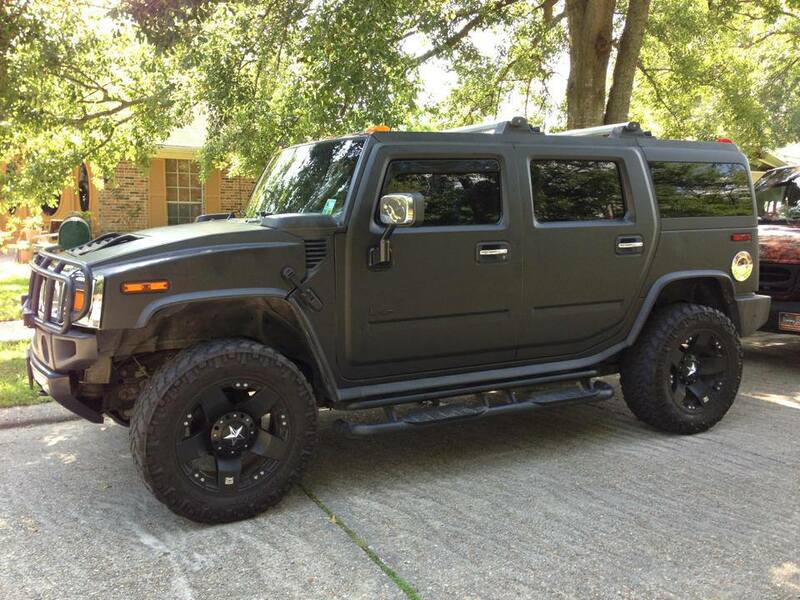 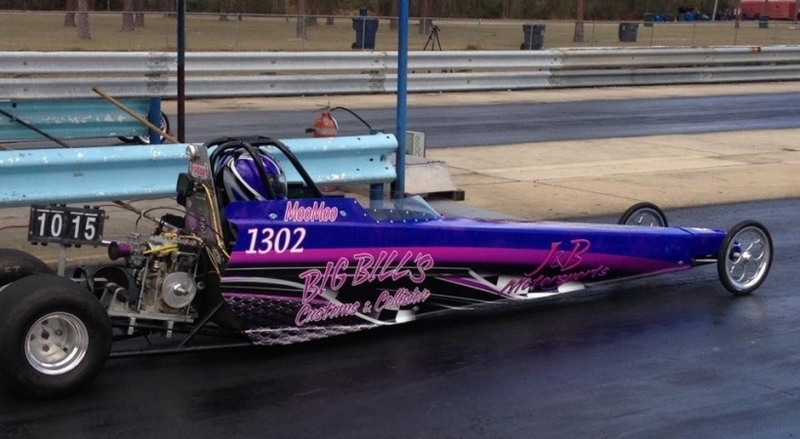 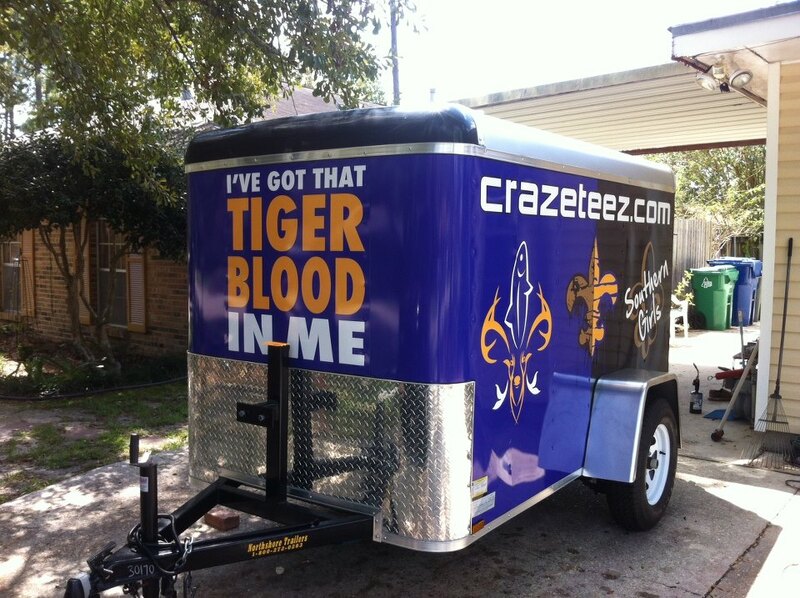 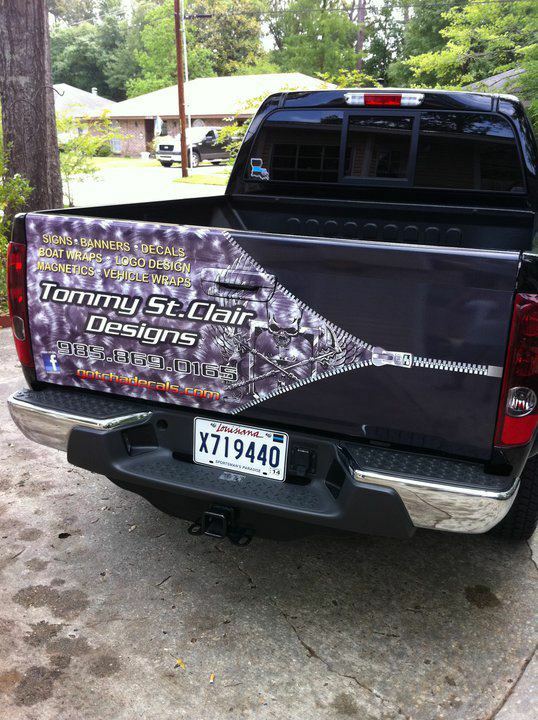 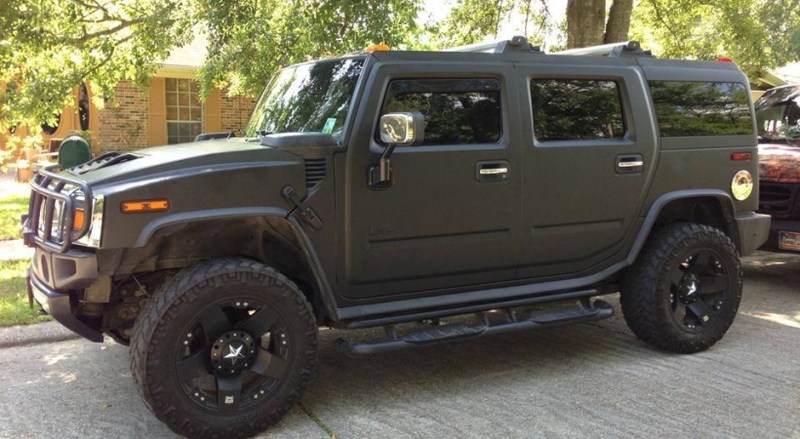 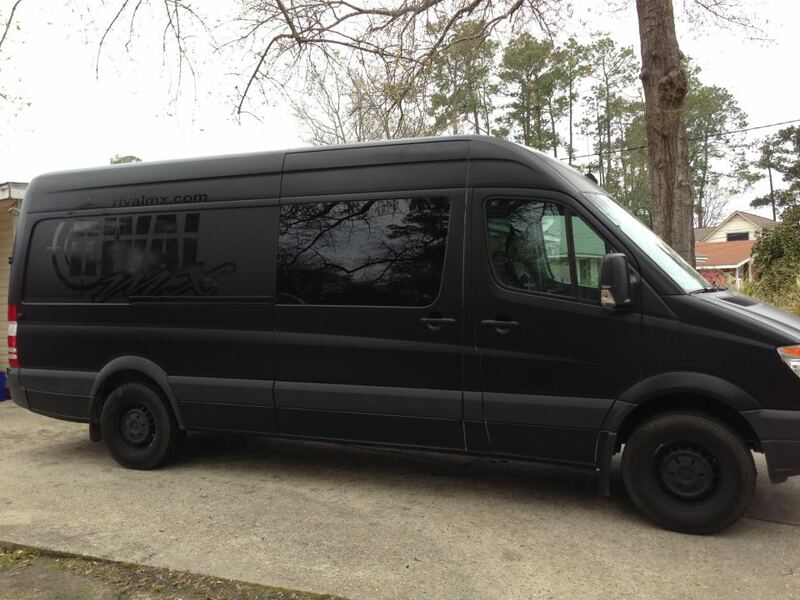 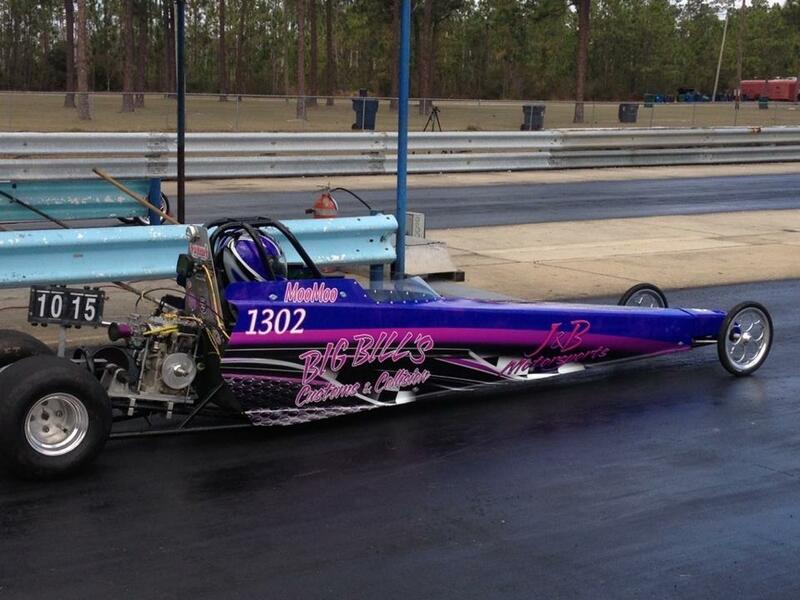 Let Gotchadecals.com create a custom vehicle wrap, fleet wrap, or car wrap that makes you stand out from the crowd! 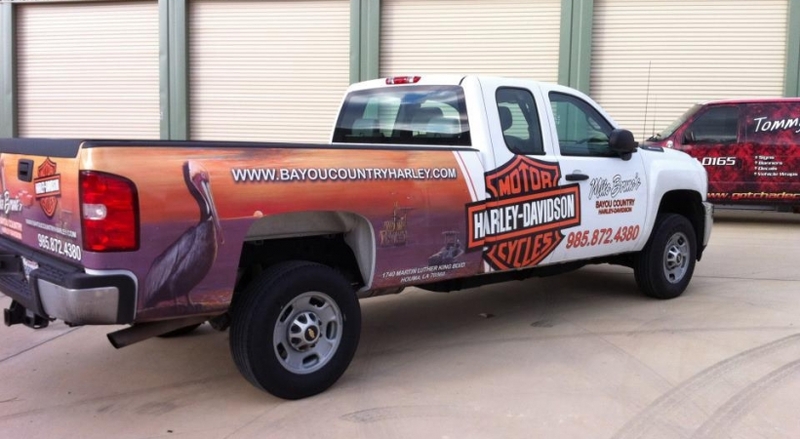 No other form of advertising offers a lower cost per impression than with a vehicle wrap. 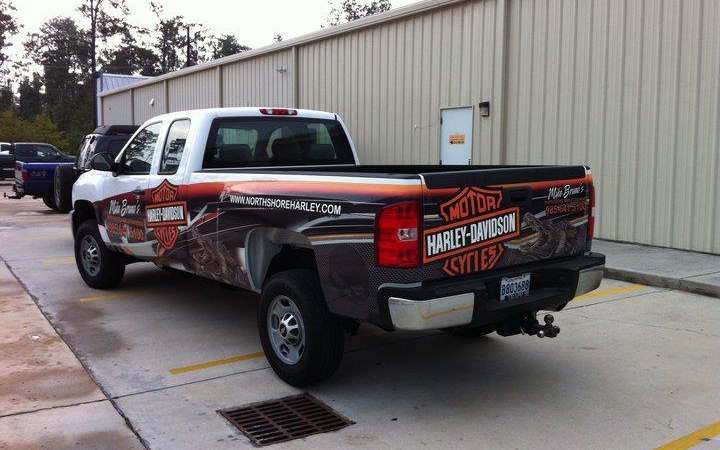 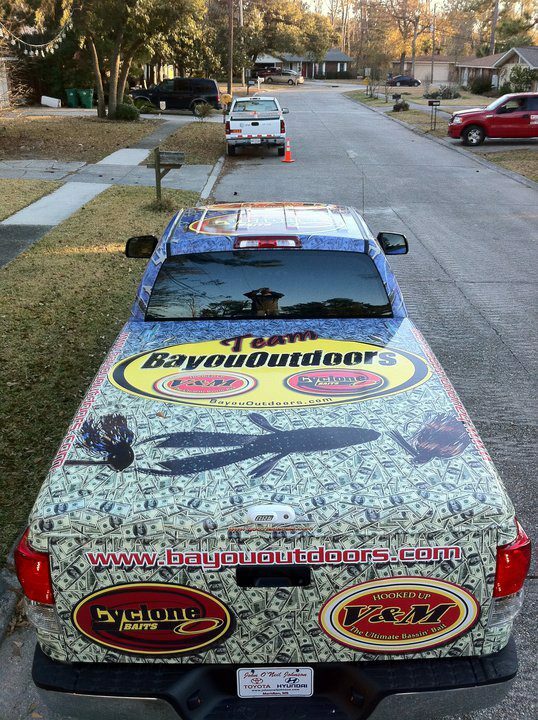 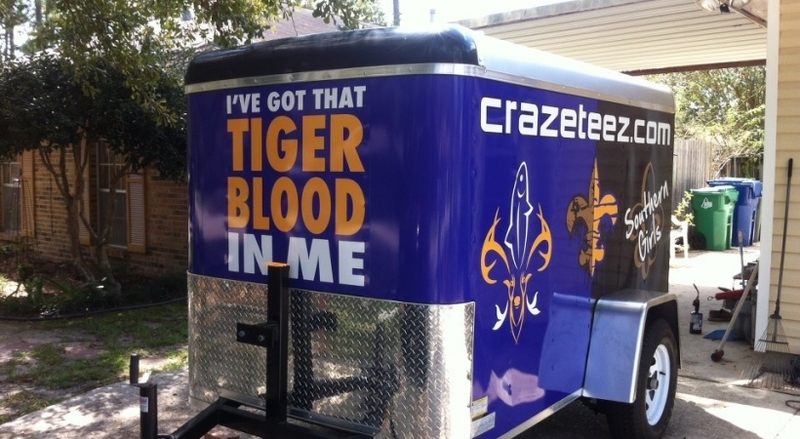 One delivery truck with an effective vehicle wrap has the ability to generate millions of marketing impressions per year! 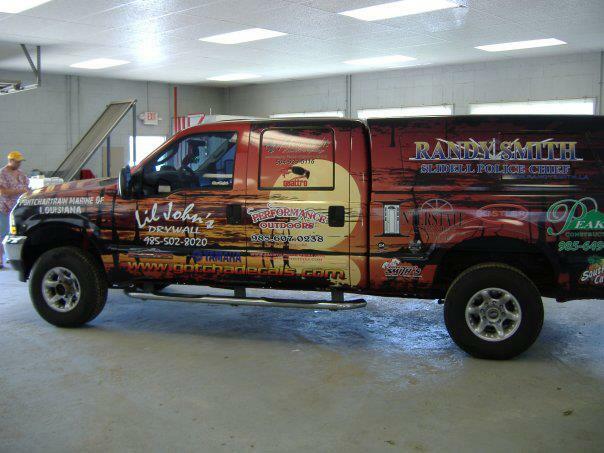 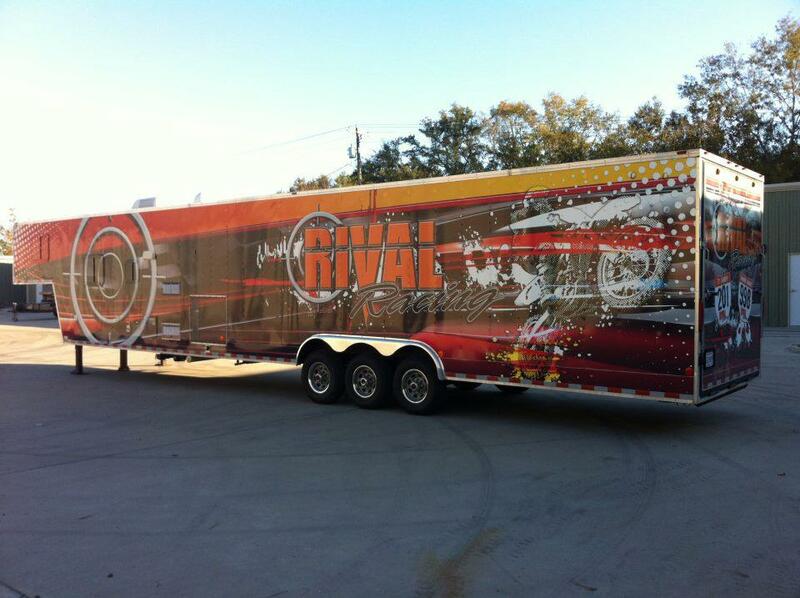 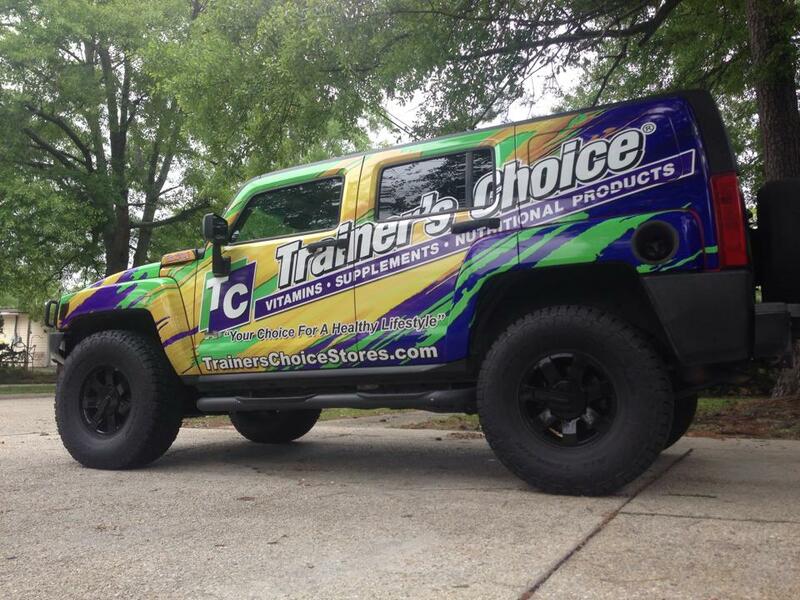 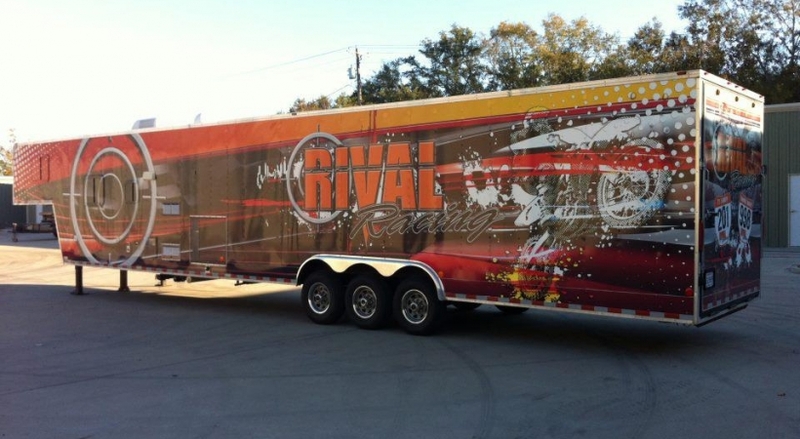 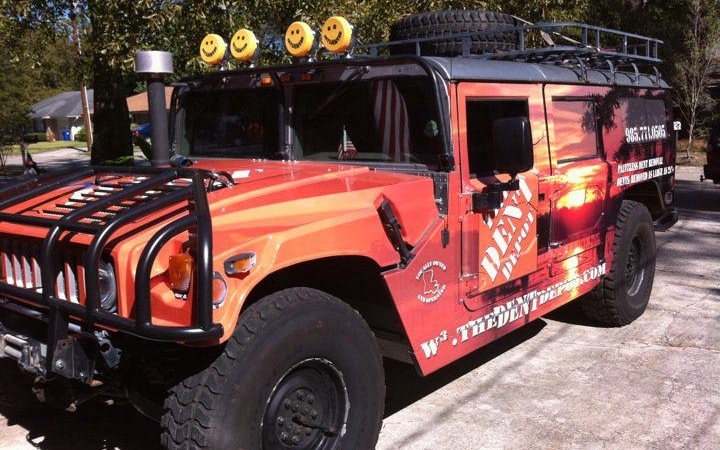 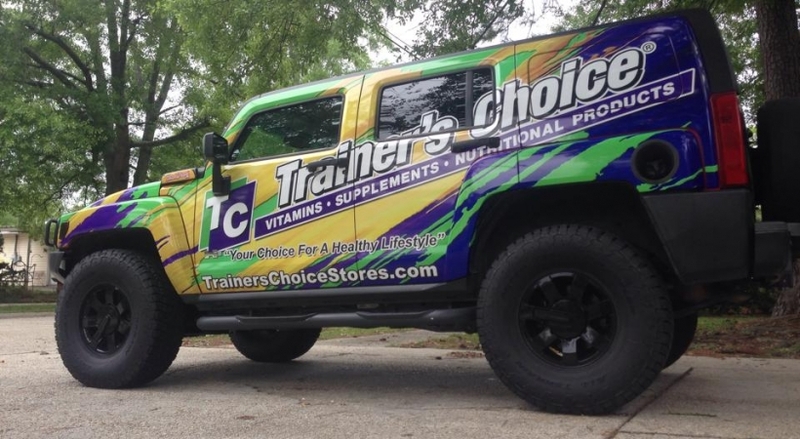 Imagine the results with a larger-than-life fleet wrap, truck wrap, or car wrap! 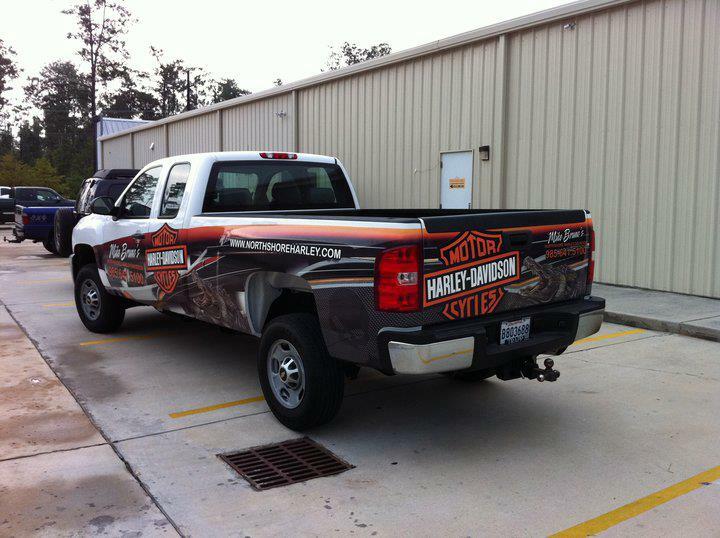 Get your company noticed on the highways all across the country – day in and day out! 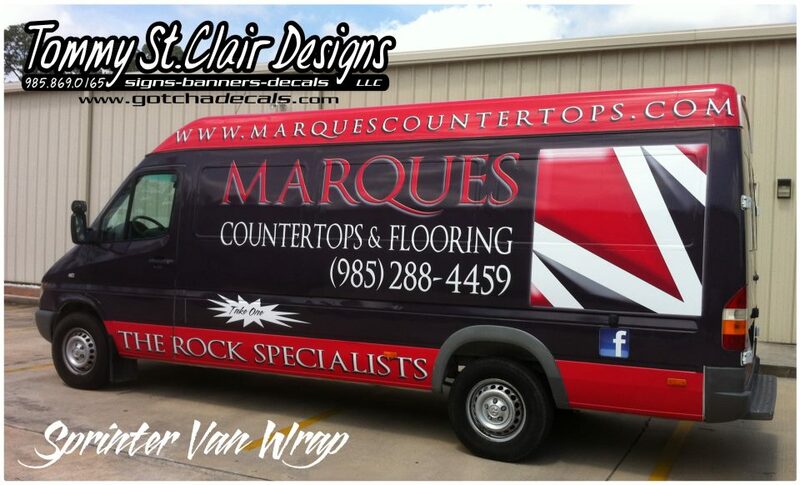 Contact us today for a free vehicle wrap quote! 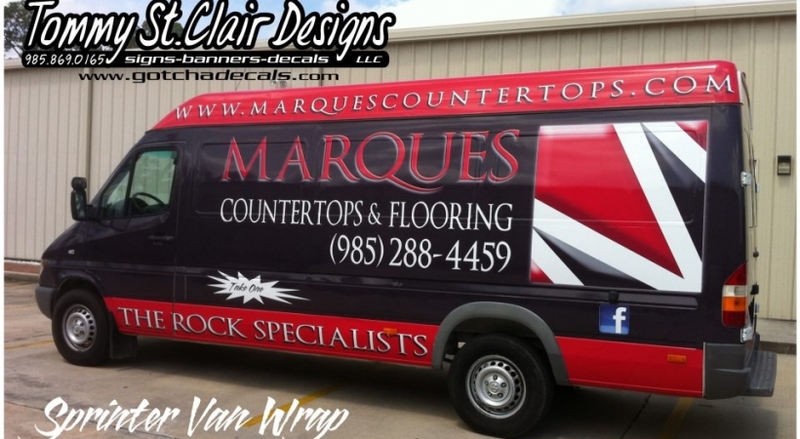 Our Vinyl boat wraps last about three – five years with proper maintenance and care. 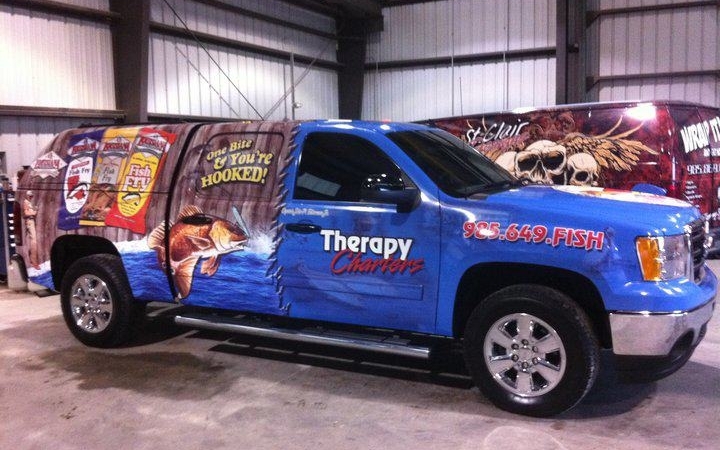 Most anglers rewrap their boats annually, however. 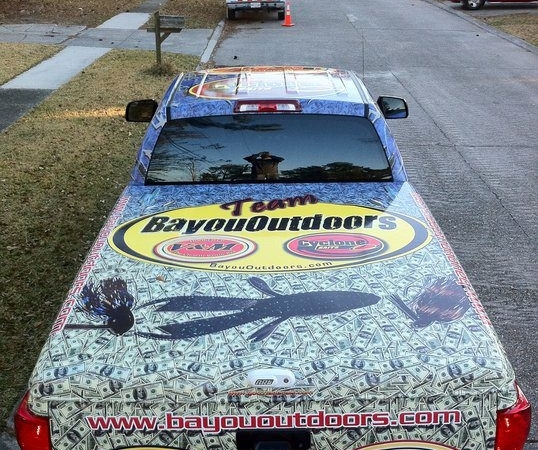 Gotcha Decals developed special boat wrap installation techniques and methods that lengthen the boat wrap’s life. 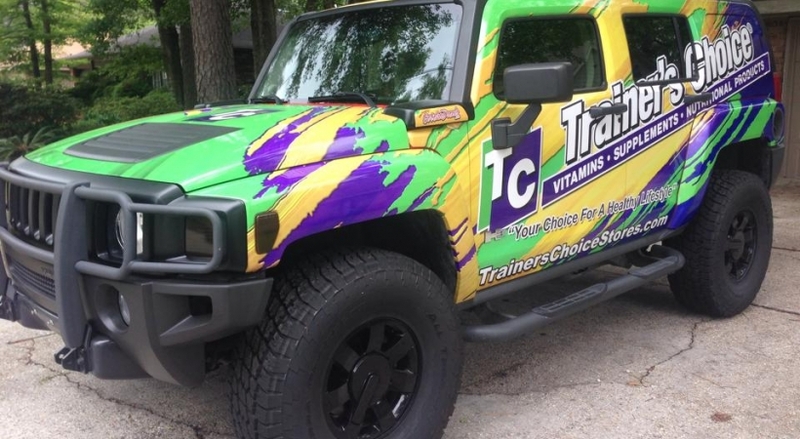 Tears must be repaired quickly to prevent spreading. 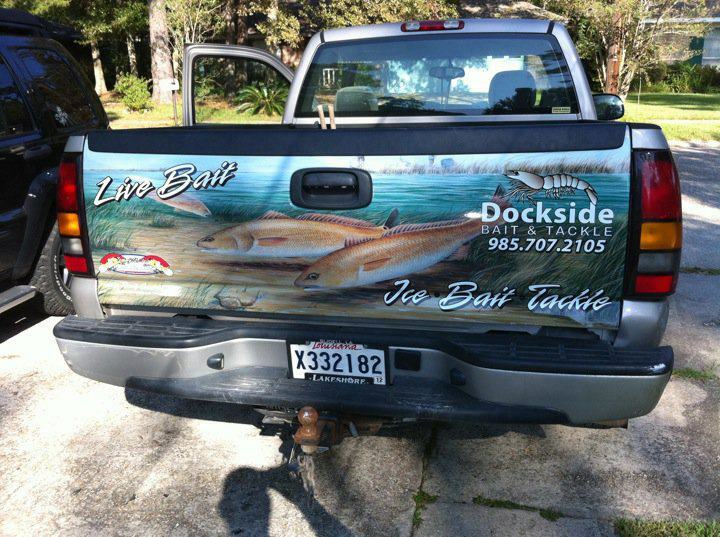 Vinyl boat wraps are thick and scratch-resistant, as well as durable. 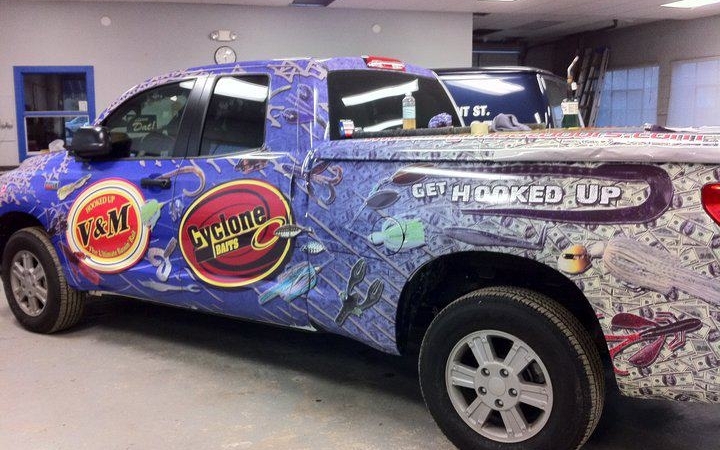 A boat wrap can be easily repaired if it’s torn during the season.